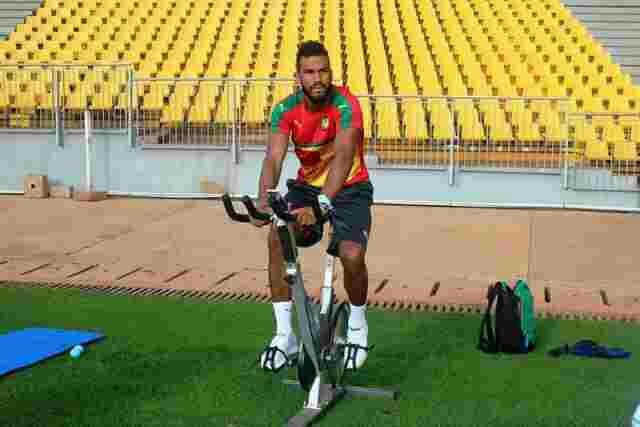 Cameroon international forward, Eric-Maxim Choupo-Moting has been ruled out of the return leg of the Russia 2018 World Cup qualifier against Nigeria on Monday. The 28-year old Stoke City striker, suffered a hamstring in Friday’s 4-0 loss to Nigeria in Uyo, barely fifteen minutes after replacing Nicolas Ngamaleu at the start of the second half. “Choupo is out of tomorrow’s game. “This is the second time this happens. It’s a shame that every time he’s here, he gets hurt. “And when he’s not here, it’s because he got hurt with his club. “Choupo-Moting suffered a little too much injury. It is not pleasant for him or for us,” Coach Hugo Broos told camfoot.com. The Indomitable lions will hope their top striker, Vincent Aboubakar, who has netted four times in his last four Primeira Liga games for FC Porto, returns to scoring ways against the Super Eagles.